Little Revolt was a finalist at Inspire305. It was an honor to be a finalist, but we were not selected as one of the winners. Wonderfully, each of the finalists also received a $5000 grant. Congratulations to all of the finalists, and thank you to Inspire305 and the United Way of Miami-Dade. If you wish to continue your support for humanties programs with youth, adults and seniors, consider making a donation to Little Revolt. Because we did not win the larger Inspire305 grants, we continue to seek funding for the programs below: A Shakespeare workshop with at-risk youth, a creative aging art and theater program, senior theater workshops, and more. Read more about each of these programs below. 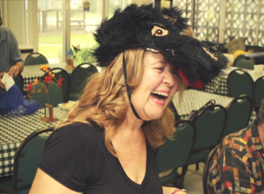 Little Revolt will conduct an immersive theater and art adventure program with local seniors. The program will consist of hand-on workshops, props, and actors as we take participants on a two-month adventure. We have partnered with the Miami Springs Senior Center for this program. 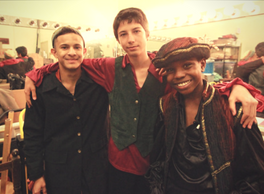 Little Revolt will coduct Shakespeare workshops with at-risk youth. The 2-month program will culminate in a public performance. Participants will be teen boys who have been part of the Miami-dade juvenile justice system. We are partnering with Empowered Youth, another local nonprofit, on this project. Who says aging has to be dull? 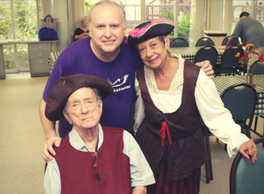 Our senior theater workshops engage and inspire older adults to be creative and express themselves. The two-month program will culminate in a public performance. We have partnered with a local senior center on this project.